For asthmatics of all ages, the spring and summer months can be a challenging time of the year. 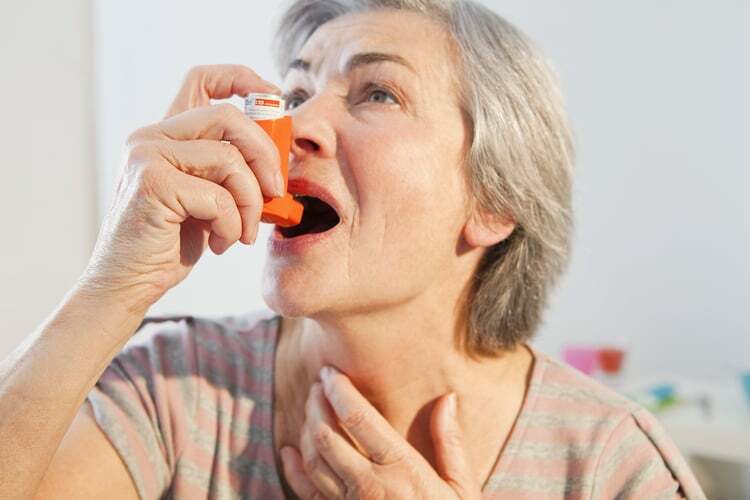 More than two-million Americans age 65 or older have asthma, and if you’re a senior with asthma, recognizing triggers, warning signs of an asthma attack, and knowing when treatment needs to be adjusted are ways you can prepare for or prevent a full-blown asthma attack. As we age, chronic health issues can make it more difficult for us to live independently. Being able to safely manage chronic illnesses, such as asthma, is important in order to remain self-sufficient. Are refills needed on rescue asthma medication more than twice a year? Did you visit the emergency room for asthma symptoms more than twice a year? Do you wake up in the middle of the night due to asthma more than two times in a month? Besides calling your doctor when asthma symptoms are no longer being controlled by medication, regular doctor visits are also necessary. Seniors who have moderate or persistent asthma should expect to visit the doctor quarterly, and possibly once a week, if their asthma is uncontrolled. If you, your loved one, or someone you know has asthma and needs assistance managing their daily treatment regimens, contact Visiting Angels today. Our Angels provide professional, individualized, non-medical in-home care to adults and seniors in Mercer and Burlington Counties, New Jersey.